Is it just fear if you hear a noise or something similar at night and begin to jump to a conclusion like someone in your house besides those who are supposed to be and start to become quite terrified? Would that just be fear or could it be something more? What more could it be? Really, every negative emotion in us boils down to fear when you get to the bottom of it. Extreme, irrational fear might be called "paranoia." Irrational fear could also be "anxiety." If you have a pattern of believing someone is in your house, but the evidence always shows that it isn't true - that's a paranoid thought; If you're afraid of a stranger coming into your house, that's more like a "phobia." If you just feel afraid, but don't know what you are afraid of - that's more like "anxiety." If you're actually seeing people (that couldn't really be there) or hearing things (that couldn't really be heard), then that may fall into the category of "hallucinations." Fear is a powerful emotion. And our thoughts are powerful triggers for emotion. If you get stuck on a fearful thought, like "someone is in my house," and you get obsessed with this thought and can't stop, it is likely to intensify your fear until it feels out of control. But this is the power of our own thoughts. Positive thoughts are even more powerful. 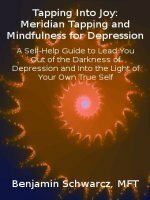 A great tool for dealing with fears and phobias and anxiety on your own, is EFT/Meridian Tapping. You can even do this technique while lying in bed, so it could be perfect for putting this fear to rest (and is also great for insomnia).